Reverend Edward Pinkney of Benton Harbor, Michigan, spent Christmas in jail this year when his probation was revoked for quoting Deuteronomy 28 in a newspaper article. On Thursday, December 20, Judge Alfred Butzbaugh ruled that the quotation from Moses was inflammatory and threatening and therefore a violation of Rev. Pinkney’s probation. Rev. 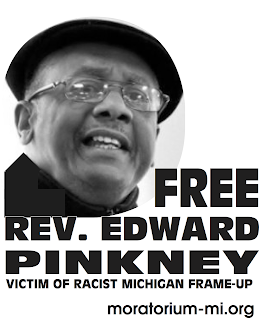 Pinkney is a longtime community leader in the Benton Harbor area and an outspoken opponent of corporate oppression of the poor. He was convicted earlier this year of “voter fraud” in a hotly contested trial that many viewed as racially motivated and riddled with constitutional irregularities. Judge Butzbaugh has made the profound error of confusing Biblical law and prophecy with human threats. Without exception, the role of Biblical law and prophecy is to point out the very serious divine consequences for sinful and disobedient behavior. In his newspaper article, Rev. 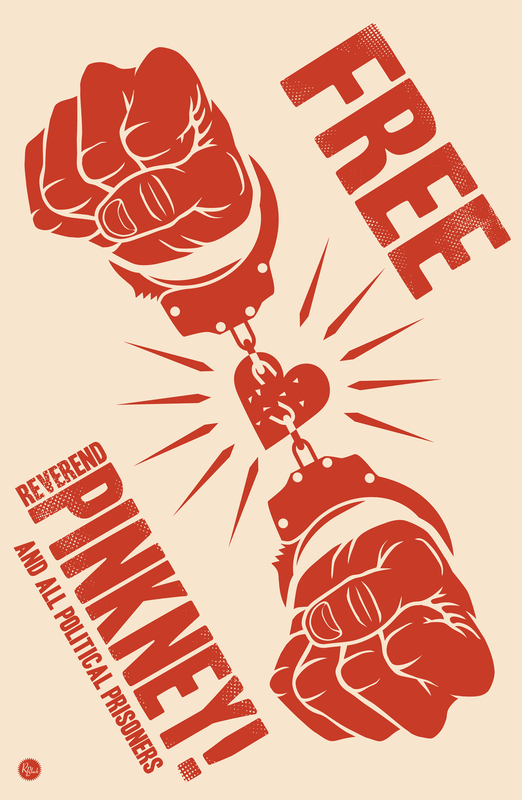 Pinkney stated that he believes the Judge’s actions are contrary to God’s commandments. He then quotes from Deuteronomy 28: 15-16, 18, 22, and 45 to warn him of the consequences of his actions according to the Word of God. (The article appeared in the November issue of the Peoples Tribune. At no time did Rev. Pinkney state, suggest, or imply that he, Rev. Pinkney, would commit any of these actions. Indeed, the idea that a human being can cause another to be cursed by God or to be smitten with consumption, fever, and inflammation is a far-fetched and bizarre interpretation. Furthermore, Rev. Pinkney clearly states that none of these evils will come to pass if Judge Butzbaugh “hearkens unto the voice of the Lord thy God to observe and do all that is right.” So if Judge Butzbaugh is obedient to God he has nothing to worry about. The Mosaic law and virtually every prophet in the Bible – Isaiah, Jeremiah, Ezekiel, and Jonah to name a few – repeatedly predict dire consequences for those who disobey God. Even Jesus often uses highly inflammatory language and warns us starkly to “repent or perish”. The Apostle Paul teaches that we will reap what we sow. These are profound Biblical truths. To throw someone in jail for simply pointing them out is a fearful assault on the religious rights of every American. We also especially encourage Biblical scholars who can further explain the issues in this case and would like to testify or write a support statement to contact the attorney as well.